SuperJet International, the joint venture between Sukhoi Civil Aircraft Company (SCAC) and Italy’s Leonardo (formerly known as Finmeccanica) responsible for the promotion and sales of Sukhoi Superjet 100 (SSJ100) regional jetliners in Europe, has become almost entirely Russian-owned after SCAC bought out 41% of the company’s shares from its Italian partner for 1 euro. Only 10% of SJI now remains in the hands of Leonardo. SCAC posted a net loss of 31.837 billion rubles ($0.56 billion) in 2016, which is 36.3% worse than its 2015 performance, the manufacturer’s IFRS report says. The company’s revenue increased 41.3% year-on-year, reaching 48.724 billion rubles. SCAC explains that the loss was partly due to the fact that some of its transactions had been switched from rubles to dollars. The company expects to return into the black in 2017, with sales for 2017, 2018, and 2019 projected at 34, 38, and 37 aircraft respectively. The Russian partners accumulated the majority stake in SJI shortly after Leonardo completely abandoned its participation in SCAC citing the project’s low profitability. Kommersant daily speculated earlier, quoting a source in the Russian government, that Leonardo might also choose to leave SJI. This would be an unfavorable turn of events for the Russian OEM, as Italian participation facilitates the company’s relations with the European authorities and helps it with SSJ100 deliveries in Europe. Leonardo says it is still planning to continue cooperation with SCAC in terms of SSJ100 sales, customization, and aftersales support. In January this year, a spokesperson for SCAC told Russian Aviation Insider that the two companies were still working to enhance their coordination within SJI. Since founded in 2007, SJI has delivered 26 SSJ100s to customers outside Russia. 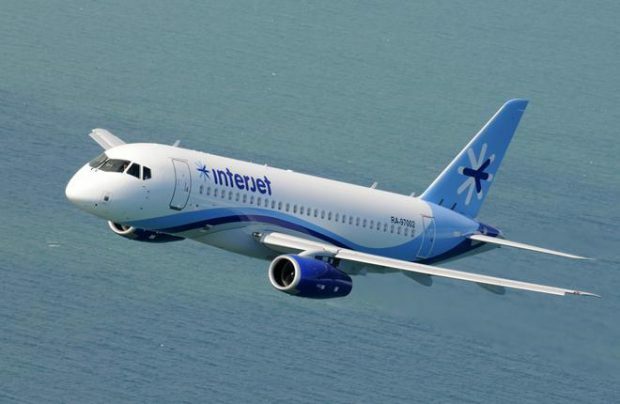 Mexican low-cost carrier Interjet took 22 of the type; the remaining four are operated by Irish airline CityJet. The operators have eight and 11 more aircraft on order respectively.